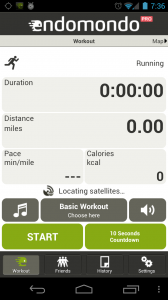 In this article we are going to cover the basic functionality of Endomondo. To this end we have divided the basics into 4 different sections that take a user from downloading the app all the way through their first run. As you will find out, using Endomondo is a breeze and really fun too. They have made it as simple and as straight forward as they can so that as many people who want to use it can. All walkthroughs below show how to download and use Endomondo on an Android OS (in this case a Galaxy Nexus running ICS (Ice Cream Sandwich) 4.0.2). Downloading the app can either be done through the Android Market app on your phone or through the Market website (https://market.android.com/). 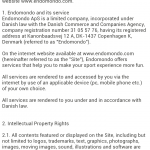 Endomondo will ask you to sign in. We chose the Facebook option because its easy. You will be prompted to accept connecting Facebook with Endomondo. 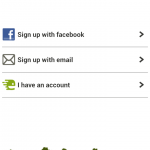 Once the authorization has occurred, you can add friends to Endomondo directly from Facebook. We skipped this step. After you’re done you will be taken to the next screen where you can begin tracking your very first run. 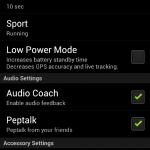 Endomondo is fairly simple and only has a few settings you want to make sure that you are going to be using. The first that I recommend using is the Online Tracking option which will automatically upload your workouts to the Endomondo website. This makes things simple for you and lets you keep all your runs in a single place, even if you use different phones throughout the course of your use of Endomondo. I also recommend enabling both of the audio settings. Audio Coach will give you audio cues when you have run each mile and the pace at which you ran that mile (or km based upon user preferences). If you are running a goal run you will also get some info on how much longer you can expect to be running given the pace of your last mile (or km). Pep Talk is a cool feature that allows your friends to send you verbal message to you on your runs as they happen. While the pep talked is delivered in a robotic voice and spoken quickly, each message is personalized with who it is from. This is a really cool and especially helpful if you are using the app while doing a race. Friends and loved ones can give you an encouraging word at just the right moment to give you that mental edge. Finally, at the bottom of the Settings screen they have a link to your phone’s location settings. I recommend selecting them all so that your phone has the best chance of getting a good location fix so that your GPS tracks look the most true to life. 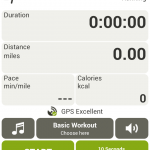 Endomondo is dead simple to use while on a run. To get started, simply click on the big green Start button at the bottom left of the app screen. Or, as I prefer to do, I click on the 10 second countdown button on the bottom right. The 10 second countdown button ends with an audible countdown and then the electronic encouragement to, “Free your endorphins.” Its a little corny, but I like it. If you need to pause the run, just click the pause button that replaces the green pause button on the bottom left. To stop the run click the red stop button on the bottom right. 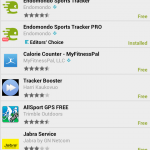 Endomondo, like all other GPS tracking apps, is not perfect. But what it lacks in perfect tracking technology it makes up for with editing. Once a run is uploaded to the Endomondo website, which is normally done automatically, you simply go to the website and log in. All your workouts are available for you to see by clicking on the “Workout” button at the top of the page. This is going to bring you to calendar that displays all your workouts for the current month. To begin editing, click on the workout that you need to fix and it will pull up that workout in the map below the calendar. On the right hand side of the screen next to the map of your workout you will see the image to the left for your particular workout. Not all of the field can be edited, but most can. All editing is saved once you press the save button and there is no back button to revert changes you made back to the original info. 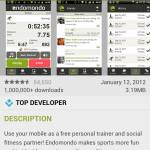 Endomondo also lets you share runs on other platforms. Users can post a run to Facebook (or a host of other online communities), send a link to a friend in an email, chat message, or forum link, or post their workout in an iframe on their own website or blog. There are over 320 different ways to share your run on Endomondo – a number that is nothing to sniff at. If Endomondo gets anything right it is the sharing and social aspect of working out. 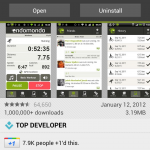 Endomondo also give you access to the raw data from the app. You can download workouts in .tcx or as a .gpx file. This will allow you to export the data into other fitness or GPS tracking software. 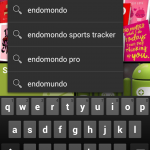 This is part of our in-depth look at Endomondo. You can check out the summary of the running tests we performed or read each of results in more detail (Track Tests | Suburban Tests | Nature Tests | Indoor Tests). Looking for a free and social sports tracking app with real-time GPS tracking capabilities? Yes? Endomondo is for you. This app combines powerful and accurate GPS tracking technology with easy-to-use social features. 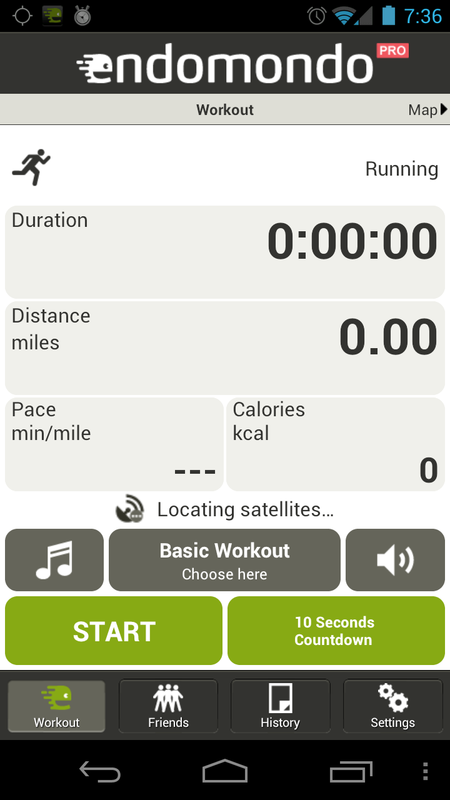 The app works on a huge assortment of cell phones (Android, iPhone, Windows Phone, Nokia) and integrates with other fitness equipment like heart rate monitors and cycling cadence computers. A full featured website and thriving community plugs users in immediately to friends already using the app and makes it a breeze to find more. If you are looking to get off your derriere and onto the road then Endomondo is certainly worth a shot. Recommendation: Get Endomondo and free your endorphins. For those short on time here is a brief summary of our results. Endomondo was generally very accurate for normal use. Errors in measurement ranged from small (0-5%) on track and suburban running to very large (90%) in indoor tests. Generally speaking, the more exposed to open sky the run, the more accurate the results. Endomondo also did better on there-and-back style runs than on loops where it tended to record workouts as longer or shorter depending on your position on the loop. Using the app to record changes in elevation was essentially a joke, but this surely had more to do with the hardware and software on the phone than with Endomondo itself. For more detail on our tests and the results, check out the links below or use the navigation bar at the bottom of the content on each page of this review. We got our base line distances by using published distances from the courses we ran or from measuring the run using Google Maps. In instances where there we neither published course distances or Google Maps to rely on we simply used our best judgment to determine if the route looked like a good approximation of the one we actually took, comparing it to trail maps when available. We understand that neither of these is terribly scientific, but most people are not concerned with getting the accuracy of a sport tracking GPS down to the exact meter. Close enough is often good enough. In the tests we used a Galaxy Nexus or a Droid X on the Verizon cell phone network and the phone was inside a Scosche armband, on top of a stroller, or in my hand on the runs.